Here is a mod focused on improving the nature of Minecraft. Forgotten Nature 1.6.2 is a modification that adds many new elements to the game, starting with 38 new kinds of trees, some of them will give fruit or nuts and we’ll be able to craft 25 new wood blocks, slabs and fences. Besides this, the mod adds 7 new biomes, 10 new flowers, two new mushrooms, 16 new types of glass, 5 new brick blocks, another 5 new stone blocks and 18 new crops. 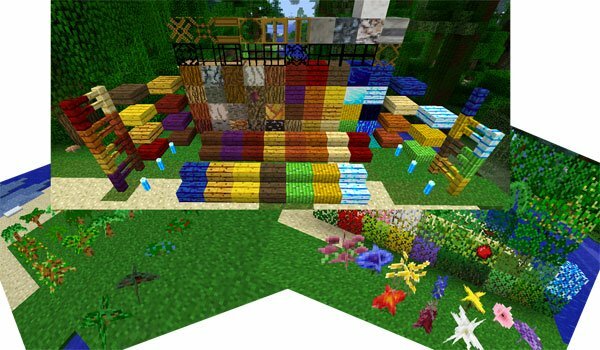 What’s more: 11 new kinds of seeds, cord and 11 new tools (including a saw), among other innovations that give more variety to your Minecraft worlds. How to install Forgotten Nature Mod for Minecraft 1.6.2? More natural elements to your Minecraft!